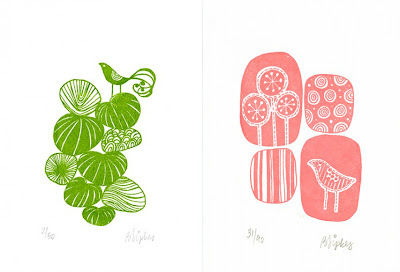 I love these prints by Bernadette Sipkes of Sugarloop. the patterns and birdies are so cute. these are adorable. i love anything with birds on them lately. Yes I love Sugarloop too. I just can’t decide which print to order. Have you ordered one? I haven’t ordered one yet, as I can decide which one I like best!